The new ad starts with three young girls sat at home watching a girly girl advert on TV. After a few seconds of bored faces and sighs, the ad cuts to these girls building what looks like the best Mouse Trap course EVER around their house, while singing a song to the tune of a remixed version of Beastie Boys' Girls. 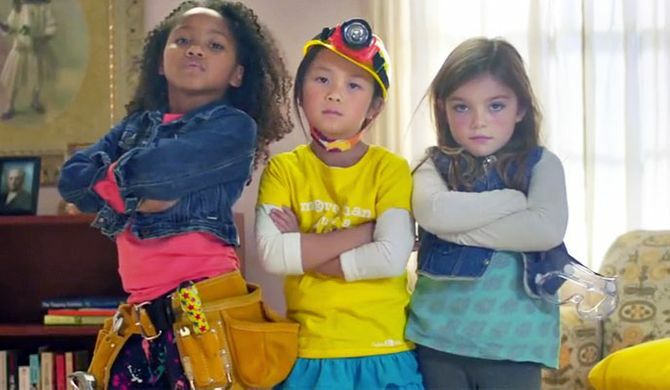 The campaign, which launched in the USA recently, is the brainchild of Debbie Sterling, CEO of GoldieBlox, a company designing inventive toys for girls without all the pink glitter. The problem of getting women into careers which are traditionally more male, e.g. STEM subjects like science, technology, engineering, manufacturing, is a big issue worldwide but especially so in the UK. We officially have the lowest percentage of female engineers in the whole of Europe, which is kind of embarrassing. ​Don’t think it makes a difference? Even Vince Cable came out earlier this month to say that this was causing “enormous problems” for our country. Other campaigns have tried to tackle similar issues, most notably the disastrous ‘It’s a Girl Thing’ campaign by the European Commission last year. But despite the video resulting in one of our favourite parodies ever, and despite the best efforts of companies like WISE and the efforts of the National Careers Service, little has improved the situation, which is why we've welcomed this ad campaign with open arms. We're not saying that all princess toys should be banned and boys and girls should only dress and play in gender neutral grey, but we do need to make more effort to combat what message toys and advertising are giving boys and girls about their options in life. We thought we'd print the entire transcript of the ad here, just 'cos we can. Enjoy. ‘Cos all our toys look all the same. And would like to use our brains. Anyone else feel like doing a mini fist pump while stamping on a Barbie right now? Anyone? 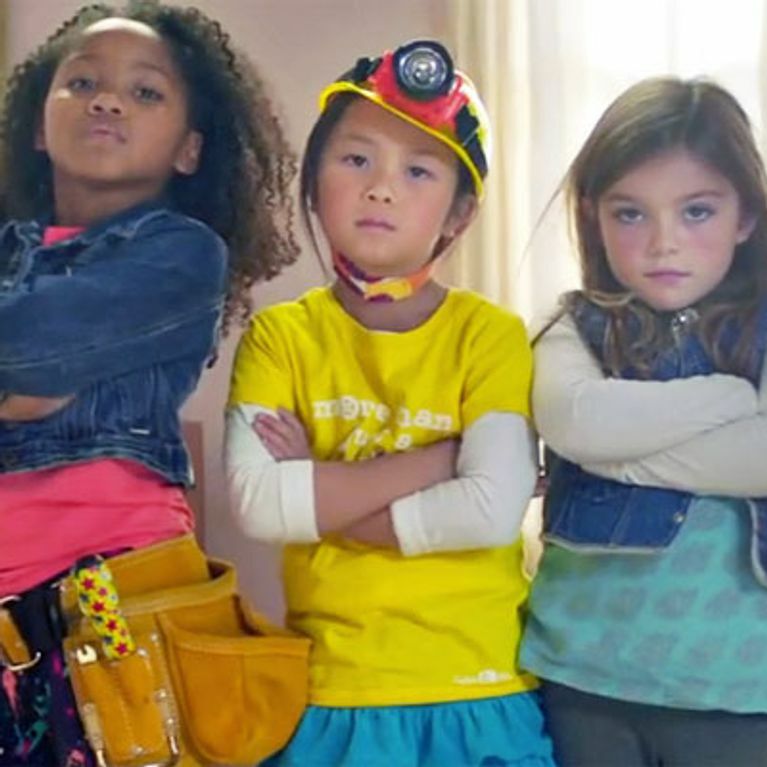 What do you think about the new ad or the issue of gender stereotypes in girls' and boys' toys? Do you even think there is one? Let us know by tweeting us at @sofeminineUK. This New Barbie Isn't What You'd Expect. Is She...Normal?